accept other suggestions for "X, Y, and Z!" can print 4 to a letter size page. inexpensive photo album to help them turn the pages like a book. These are amazing! Thank you so much for sharing! These are great!! "Z" could be Zacchaeus. "X" could be St Xenia of Petersburg, however I like "X" for Christos. I'm so glad I found you blog. I'm an Orthodox mother of 3 kids age 4 and under and hope to homeschool our kids. Those are beautiful! i need to run out and buy some cardstock! The kids at our Pre-school love these. They have made them into an aphabet book. I came across a site which provides us a platform to create flashcards with videos and photos,wanted to share some flashcards hope you find it interesting. 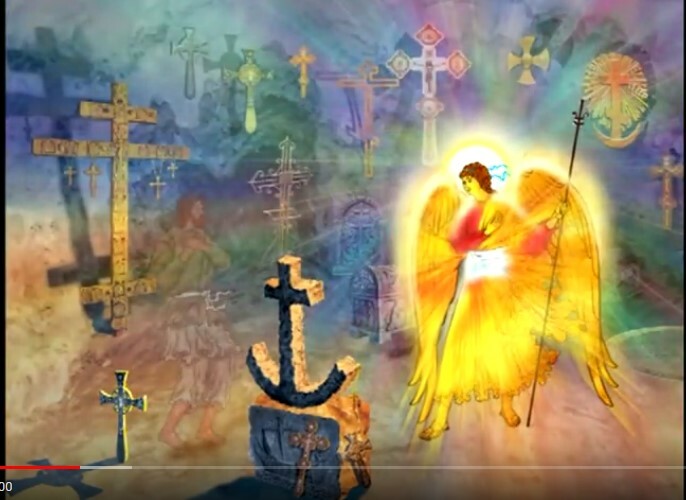 "Z" could be for Zeon, the small pitcher with hot water poured into the chalice after epiclesis..."The warmth of the saints..."
"Z" could be for ZEON the cup used to pour hot water into the chalice after the epiclesis. This may be a silly question, but how do I download the beautiful cards? Do I have to go through Facebook? I tried signing up but can't seem to do it. 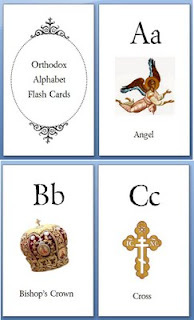 Just click on the link above in the original post, where it says "flash cards" This will redirect you to a file on Scribd that is downloadable and printable for free.